Knitters are fond of expressing themselves not only through their knitting but also through messages or statements 'written' into their garments. Here Bridget guides you through the creation of two gorgeous and practical alphabets. Knitters can practice their ABCs as they knit a useful sampler scarf. 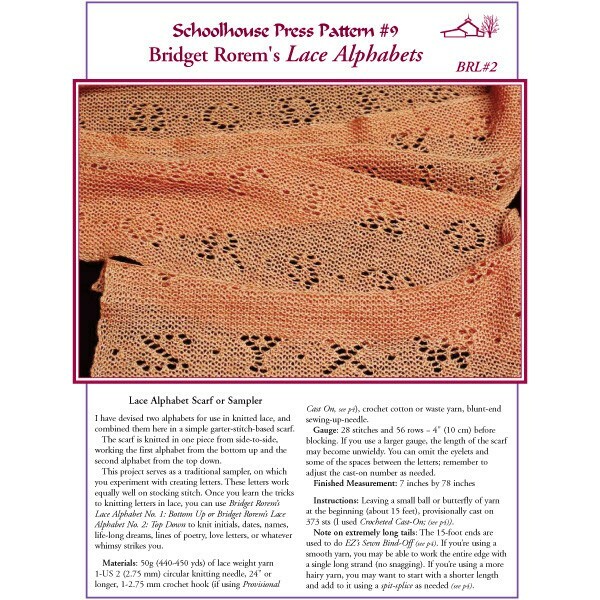 Bridget's lace alphabets are easily applied to any lace design. Instructions with 2 charts: one bottom-up and one top-down.